trails are for illegal dumping ? Biker Finds Hidden Garbage Dump in Mont Clare; Its contents include chemical waste. 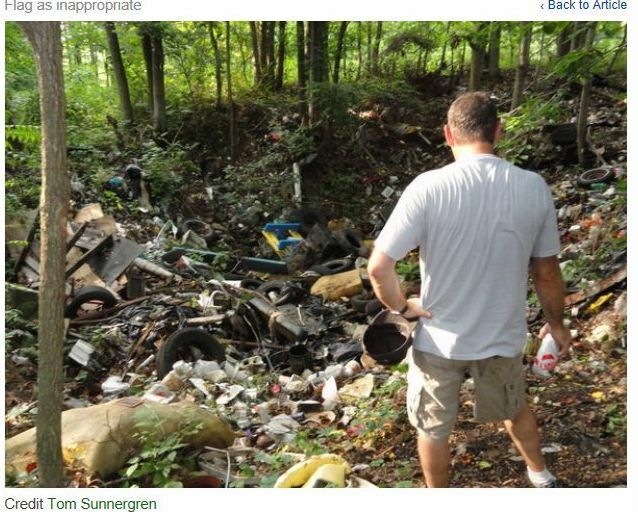 On a mountain biking trek last week, a Phoenixville Patch reader discovered a large garbage dump off a trail near 330 Lovers Lane in Mont Clare. The trash pile is in an oblong ditch—roughly 35 feet deep and 50 feet across—and contains, based on one incomplete inventory, tires of various sizes, oil and anti-freeze containers, a toilet, a television, couch cushions, sheet wood, 2X4s, Gatorade and soda bottles, the seat of a car, and countless other discarded chemicals and plastics. A narrow trail leads away from the ditch and to a small concrete parking space where a backhoe with a shattered windshield sits. The trail appears to be wide enough for the backhoe to drive up and down it, though the trail doesn’t appear to have been driven on recently. The reader reported the dump to the Pennsylvania Department of Environmental Protection via an online form after he discovered it, but is yet to hear any word from the agency. Yes, Phoenixville Patch is reporting that a biker on a trail in Mont Clare, which is Montgomery County/Upper Providence Township, found a mini toxic waste dump. 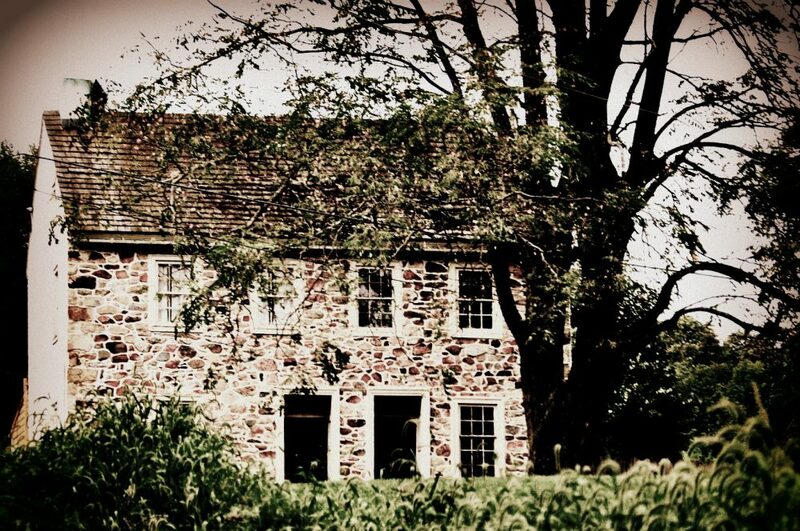 This is on the opposite bank of the Schuylkill. A commenter on the site is urging everyone to report this so it gets cleaned up. As in complain to the DEP and Upper Providence. I say report this to TV stations and ask for coverage to ensure it is not only cleaned up, but cleaned up correctly and completely. Back to the dumping. This is serious business. Good job to Tom Sunnergren of Patch for covering it. Of course I had no idea the other Patch editor for Phoenixville had left. A fun fact about Mont Clare according to Wikipedia is it is the birthplace of the outlaw Sundance Kid. This entry was posted in Uncategorized and tagged DEP, illegal dumping, lisa mossie, mont clare, Phoenixville Patch, Schuylkill River, toxic waste, upper providence by carla. Bookmark the permalink.